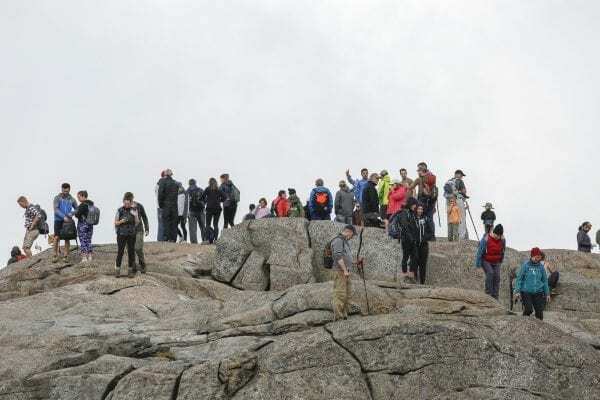 Hikers crowd the summit of Cascade Mountain. Photo by Mike Lynch. 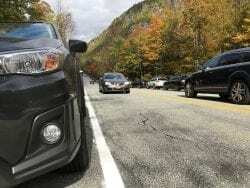 To limit the swelling numbers of High Peaks hikers and the environmental damage they cause, New York plans to close roadside parking on four more miles of Route 73 this year, from the Rooster Comb trailhead east of Keene Valley to Roaring Brook Falls. The state will also complete a longer, sturdier trail up the popular Cascade Mountain this year, add more privies and trailhead toilets, and expand education and outreach programs to guide hikers to lesser-used trails. 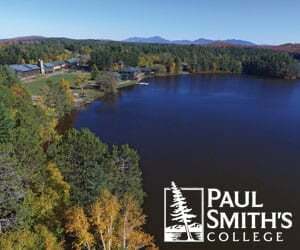 Speaking at an Adirondack Park and local government conference in Lake Placid, state Department of Environmental Conservation Region 5 Director Robert Stegemann said Thursday that if all of the above still isn’t enough, a permitting system for hikers might become necessary. Should permitting became necessary, Stegemann said the state would “go slow” and begin with test areas to study the effects. If permitting makes sense, it will require a change in attitudes in the park, where current restrictions are minimal. “People may have to get used to the fact that you just can’t go anywhere you want sometimes,” Stegemann said. Brian McDonnell, who operates Mac’s Canoe Livery in Lake Clear, said he’s not against permitting, but it should be limited and strategically applied. He also said the state needs to teach and the public needs to be willing to learn. “People have to be smart enough to know where not to go,” he said. Along with parking restrictions, which the state began enforcing last year in the Chapel Pond area, Stegemann said the DEC wants to rate hikes for their degree of difficulty and get this information into the hotels so tourists will be less likely to attempt climbs that are beyond their capabilities. Vinny McClelland, founder of The Mountaineer outfitter in Keene Valley, said “permitting is a bad word,” but that the same result can be achieved in other ways, such as limiting trailhead parking. “When the lot is full, you have to go to a different place, he said. McClelland too suggested more state investments, including trails up currently trail-less peaks, clearing brush to open vistas that make lesser-known trails more attractive, and connector trails between towns. Conservationists in the audience said it’s becoming apparent that some sort of hiking restrictions are needed on the most-visited trails. “People seem to agree that there’s a need for a line, but they differ where that line should be,” said Willie Janeway, executive director of the Adirondack Council. Janeway said the Council backs a restricted parking plan where half of the lot is first-come first-served, and half of the spaces are reserved online. Janeway added that he hopes the state will address the problem comprehensively and spread the message of the Adirondack conservation ethic parkwide. 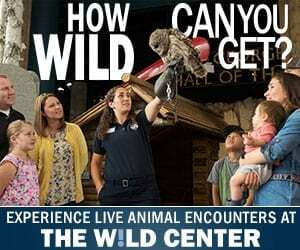 “With world-class stewardship, we can invite more and more people to come, but also preserve the park,” he said. 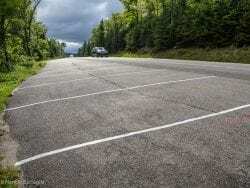 Parking lots are completely inappropriate in size for the numbers of people that the state is ACTIVELY encouraging to come recreate in the Adirondacks and all we hear about or see done is limiting parking and “chasing people away” as someone says they are not trying to do. The state does not put enough money in to trail work and maintenance and does not have enough rangers. We hear nothing about that! I hoped the publication date for this would be April 1, as it is an incredibly foolish policy. But no, it’s April 5, so I guess they actually mean it. So they are closing the parking for the Deer Brook Trail to Snow Mountain and the Mossy Cascade Trail to Hopkins. These are local favorites, and have long been touted by these same “policy makers” as “alternatives to take the pressure of the high peaks.” Nice job. Punish the locals for your failure to manage the trails, and close alternative non high peak hikes. Thank you for your decision to restrict parking along the roadside near Cascade & Porter, and near trails towards Giant and the cliffs on the west side of the road at St. Hubert’s, Keene Valley, and Keene. I recommend a mandatory trails fee for the most heavily hiked high peaks. Nora Leonard Roy, Aspiring 46er since 1969. Age 72 now, my days of achieving « high up histedness » are probably done, but I would not want to be on any summit with more than a couple of other hikers anyway. The problem with this article is obvious in the first sentence: “To limit the swelling numbers of High Peaks hikers and the environmental damage they cause”. Anyone with trail building experience will tell you that foot traffic doesn’t necessarily cause the damage, poor trail design and bad maintenance does. All one needs to do is look east to the White Mountains and notice the excessive hiker traffic they receive but the trails are generally in good shape. NY needs to invest in FULL TIME TRAIL CREWS. We’re not talking a few individuals, we’re talking several trained crews for various areas of the park. Trails should be hardened and re-routed when appropriate. Number of people are not the problem, our trail maintenance is. An ignored trail is a destroyed trail. The DEC suggesting that they intend to “spread traffic to other areas” is a joke. This means we’re just going to increase the number of damaged trails that aren’t garnering the attention and maintenance they need! You can’t stop people from coming to the High Peaks, especially when there are “I Love NY” billboards all across the southern parts of the state. If the Governor invested a fraction of the advertising budget in a couple trail crews we could actually make some headway on this severe problem!! As an avid Waterfowler I’m constantly paying licensing fees, permit fees, stamp fees to pursue my interests. Hikers are wreaking havoc on our trail systems and taxing our Forest Rangers. Why no charge for them? So, I’ll take a day off from work, drive 3 hours to the high peaks for a planned hike and will be turned away because there won’t be enough parking? That’s a very productive plan. This is turning the Adirondacks into a negative experience. Go back to the drawing board. Let’s see. Ban parking at popular trail heads. Close the Garden lot for a year. Relocate cascade parking lot. Increase tourism. Perhaps the potential hikers can gather at the new rest stops on the Northway. End result will be more people at fewer trailheads with those trails being overused. I suggest building additional parking. Put up tow away signs where it is illegal to park, then enforce it. Just want to echo the comments here about state funding – how can we work together to get NYS to double the budget for maintenance, trail work, and parking (among other things)? Maybe its time for those who use the trails to invest a little more time and money into maintaining them. Why should New York taxpayers foot the bill? Take a look at the environmental impact of over using the trails. Some of the trails are more littered than a NYC sidewalk. Maybe it is time to enact something similar to the Pittman–Robertson Act. Whats a few extra dollars on a several hundred dollar back pack or backpacking tent? 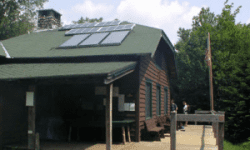 Whats wrong with charging for a trail permit? Are people opposed to investing in the preservation of the trails for future generations? Not me, I would happily invest $20 a year to preserve something I love. I’d still have a few bucks left to enjoy an ice cold Ubu Ale to cherish the day. You are right – and most, if not all hikers, would be fine with paying their share. What we lack is a way to do so in addition to Trail Supporter patches, which many people don’t even know exist. The DEC continues to live up to it’s reputation as the “NO PEOPLE AGENCY” by further limiting infrastructure for parking and use of the very popular high peaks. Instead of providing stewardship and designing infrastructure to fit use, the Department chooses to limit use. Interesting timing with a budget allocation to increase diversity via the Adirondack Council. So we want fewer people using the park but more diversity?